An article by Inigo Barker and Michele Mackenzie at Analysys Mason. Orange, Vodafone and other operators are continuing to commit resources and pay attention to their portfolios of consumer IoT devices. Operators with ambitions in the consumer IoT market should consider the different device strategies available to them in order to finetune their approach and maximise impact. 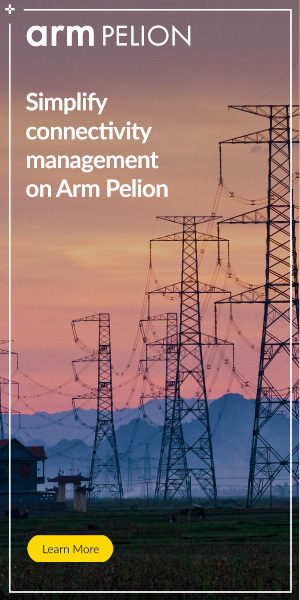 In this comment, we review three established device strategies that we have identified in our recent report Consumer IoT: case studies and analysis, and consider why operators might be adopting them and how operators can make a success of them. In Consumer IoT: case studies and analysis, we profiled six operators with discernible strategies related to consumer IoT devices and identified three different approaches (see Figure 1) – reselling, co-developing (partnering) and in-house development. Each of the six operators is employing a mix of all three of these approaches but with a different emphasis. Operator input on features None. Low input (e.g. just branding) to high input (e.g. branding, product development) depending on terms of partnership agreement. Led by operators. Advantages Relatively quick time to market and swift portfolio alterations are possible if necessary. Possible to capitalise on expertise/brand equity of other players. Wide range of device categories. Low risk and relatively few costs beyond training. Potential to build on strengths and expertise of both sides of partnership. Operator gains total control over the device and its roadmap. Greatest potential for differentiation. Operators will gain the highest share of profits from successful products. Significant ‘option value’ enabling operators to learn about what works. Disadvantages Low margin. Little to no influence over device development. No brand visibility. Limited differentiation. Potentially limited influence over device development and other aspects. Various costs but still relatively low cost compared to in-house development. High risk and high cost. Time delay and further costs if capabilities and expertise have to be developed from the ground up. Examples Most of AT&T’s portfolio (Samsung SmartThings Tracker, the Link AKC Smart collar, various smartwatches and VR headsets). Some of Vodafone’s V by Vodafone portfolio (e.g. V-Kids Watch, V-Camera, V-Home) and some of Orange’s portfolio (e.g. Orange Move Band and the VR2 headset). Verizon’s Hum OBDII range. Some of Vodafone’s V by Vodafone range (e.g. V-Auto device, V-SOS band). Orange’s Connected Home and Protected Home propositions. The thinking behind these strategies varies widely and, since many operators have adopted a mix of device strategies, the thinking of any one operator may not even be internally consistent. Possible motives include the following. Operators that are reselling or co-developing devices may be doing so because they can experiment with new device types for a relatively low cost. If the devices perform badly, operators can simply withdraw these offerings or move into new device categories based on their experiences. If they perform well, operators can take this as a sign to take a more active role. Operators that are partnering or developing devices may be doing so to seed the market but may have no intention of playing a role in devices in the long-term. Where they are rebadging an existing device (as Vodafone is with the V-Kids watch, which is produced by TCL Move), adding their brand to a third-party device from an unknown brand may help to add some trust and drive sales. Long-term, if the sector takes off, the operator could scale back efforts in developing devices. Operators that are building in-house may be doing so because they think the timing of the current opportunity is unique. In the past, many operators failed with in-house devices like smartphones and tablets but memories of these past attempts may have faded. Lower component costs may also make it cheaper and easier to experiment with new devices. Furthermore, the consumer IoT market is a still nascent and relatively uncompetitive market and so presents an opportunity different from that of smartphones or tablets. Developing in-house also opens the option for operators to play an even greater role in what could be a very large market. How operators will fare with their device strategies is difficult to tell at this early juncture, although it seems logical that the best approach is one that is sensitive to the different demands of different verticals. Reselling, for example, can work in verticals where other players have established a strong lead or where consumer demand is unclear. Partnering is suitable for verticals such as smart home where interoperability is important for consumers. In-house development can work for verticals where operators have existing expertise (for example, connected car for operators such as Verizon, AT&T and Vodafone). But more importantly, a good strategy is likely to prove to be one that is flexible and accommodating of early setbacks while the market is still developing. 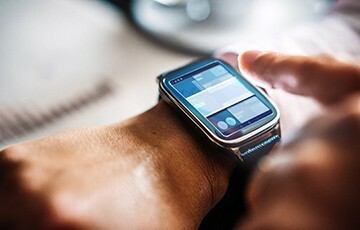 At these early stages, operators involved in consumer IoT are likely to have mixed success with their device portfolios, and many devices will fail to gain the traction that was hoped. Operators will need to accept defeat and learn from mistakes – something that was perhaps missing when operators launched devices in the past. The failure of one device may well signal an opening for another.